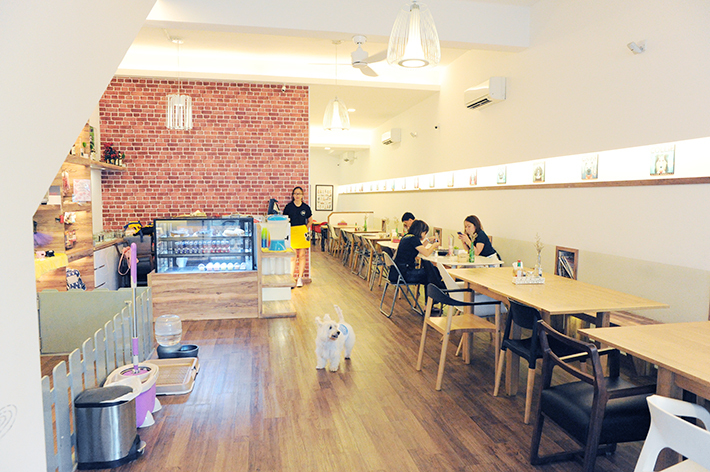 The amount of pet-friendly cafes in Singapore are on the rise, and more animal lovers are often on a look-out for such avenues to spend time with their furkids, or have a chance to meet like-minded individuals who are equally fond of animals. Happenstance Cafe brings about a welcoming charm in its spacious and clean interior, a place where both pets and humans can conjugate to enjoy a meal together. The cafe takes pride in making your furkids feel at home and is packed with all the basic cleaning necessities for your little ones if they do make a mess. For those who are keen on snagging up some goodies for your pets, apparels and other accessories are also sold at Happenstance Cafe. The cafe has an eclectic selection of main courses such as the Happenstance Signature Burger (S$18) that encompasses a juicy beef patty, home-cured bacon, a gorgeous sunny side up and topped with fresh greens. Not only do they serve food for the humans, your pets can also enjoy a meal from the pasta menu which you can specially customize to their liking. We love Happenstance Cafe for its warm hospitality, as well as its dedication in providing the best services for your pets. 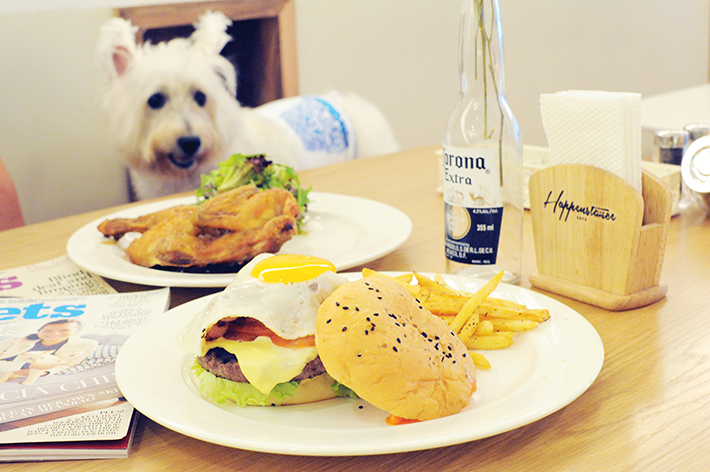 For those who are looking for a cafe to visit with your adorable furry ones, you know where to head to next! Mileslife is our favourite app to accumulate miles through everyday spending. You can earn 1 miles for every dollar spent at this restaurant. Download and try Mileslife out now! You can use our code ‘Ladyironchef‘ upon your first spending to get 1,000 miles.